To build a fantastic, cutting-edge mobile application, firstly you need an apt cross-platform app development framework. It is not at all easy to find the best, and most suited mobile app development framework as there are a myriad of options in the app development market. A host of HTML5 frameworks are available to the app engineers with features including, APIs, CSS styling. Therefore, developers mostly prefer working on a HTML5 as it is quite easy to manage. However, in order to become more responsive as well as competitive in the market, app development firmshave to deliver apps on a plenty of platforms. Though, this often leads to some budget as well as speed-to-market relateddifficulties.As the mobile market is ruled by iOS and Android, it is utmost important for every company to develop apps which work on these two platforms. In fact, a world-class developer should have the knowledge of creating apps for both. The standard methodthat most mobile application teams choose is native app development. However, expecting speed and price efficiency in native development is not at all a practicalexpectancy. Native development needs you to get SDKs, tools as well as dedicated developers for every platform. You will also have to create several code bases, and specifically design UI/UX for every platform. One of the best ways to develop topnotch apps for different platforms is by writing once and running the codes anywhere withefficient cross platform development solutions. This not only saves time, but also makes the whole process very convenient and easy! When you develop mobile applicationsthat can work on several different browsers, it is regarded as Cross-platform development. This method help the developer to slit out all the additional time. Also, this process doesn’t require extra resources. 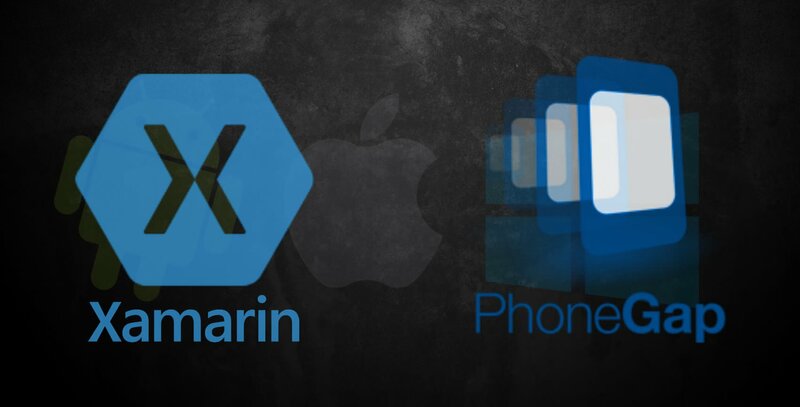 PhoneGap and Xamarinare two of the major leaders of the cross platform app development market. Both of these frameworks are designed to solve the issues of developing only onemobile application for numerous platforms. Though, it is not easy to pick the best one as there are severalbusiness and technical differences between the two of them. Also developers mostly go for framework that are easy, and support several added features. PhoneGapoffers a direct access to Cordova plugins library. Also, Cordova pluginscan be integrated as an add-on code that enables the engineers to do a lot more with native components including geolocation, file transfer, cameras, push notifications etc. While using PhoneGapthe engineers can also integrate all the required native components straightaway without any code as itsupports SDK plugins. Whereas, apps developed through Xamarin already get 100% native performance simply because they use Xamarin Forms, like Xamarin Native to develop UI that renders on native controls. However, Xamarin applications are undoubtedly a little larger as they need to have their own specific .NET runtime to experience entire native UI. Hence, Xamarin developers have to be always geared upwith resource capacity. One of the most preferred benefits of using Xamarin is that the mobile applications are somewhat easy to update. It has the caliber to make updates, modifications, and improvements to the mobile application over the lifespan of that app.Whereas, PhoneGap features a combined desktop and mobile app arrangement that has templates to make modifications. It enables the developers to work without the requirement for a command line. Xamarin works very nicely with a C# shared code amid all platforms in a smaller amountof time, and will lesser resources. Hence, this feature leaving the main effort to building platform UIs.And, when it comes to PhoneGap, it stretches apps using third-party solutions likePaypal for authentication, payment tasks and drag-and-drop design. Both PhoneGap and Xamarin are decent phonegap app development softwares. The selection between PhoneGap and Xamarin all boils down to the convenience and ease of development with the tool. Every developer can make the choice as per individual requirements.